Professor Rick Bigwood’s principal teaching and research interests lie in the areas of contract and property law. 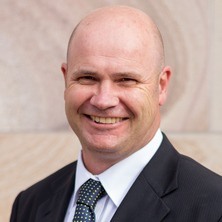 He was formerly a Senior Solicitor and Acting Principal Solicitor with the Federal Attorney-General's Department in Canberra (Office of Commercial Law). Before joining TC Beirne School of Law, Professor Bigwood taught at Bond University for five years, and he was on the Auckland Law Faculty for 16 years before that, where he was also the Director of the Research Centre for Business Law. He has published widely in leading international journals on subjects within contract, equity and property law, and he has been a keynote speaker at international conferences on contract law. His publications include the following books: Legal Method in New Zealand (Butterworths, 2001); Exploitative Contracts (Oxford University Press, 2003) (awarded the JF Northey Memorial Book Award for 2003); The Statute: Making and Meaning (LexisNexis, 2004); Public Interest Litigation: The New Zealand Experience in International Perspective (LexisNexis, 2006); The Permanent New Zealand Court of Appeal: Essays on the First 50 Years (Hart Publishing, 2009); Contract as Assumption: Essays on a Theme (by Brian Coote) (Hart Publishing, 2010); The Law of Remedies: New Directions in the Common Law (Irwin Law, 2010) (with Jeff Berryman); and Cheshire & Fifoot, Law of Contract (10th Australian edition, 2012) (with Nick Seddon). Professor Bigwood was formerly the General Editor of the New Zealand Universities Law Review, and was Editor of the New Zealand Law Review 2002-2008. He is currently a member of the editorial boards of the New Zealand Universities Law Review and the Journal of Contract Law. Professor Bigwood has received a number of awards, prizes and honours for his teaching at various tertiary educational institutions, in a variety of countries, including a National Tertiary Teaching Excellence Award in 2006 (New Zealand). Bigwood, Rick (2019). Exploitation. In Warren Swain and David Campbell (Ed. ), Reimagining Contract Law Pedagogy: A New Agenda for Teaching (pp. 61-78) Oxford, United Kingdom: Routledge. Fridman, Gerald and Bigwood, Rick Variations on the Theme of Contract. Toronto, ON Canada: LexisNexis Canada, 2019. Bigwood, Rick and Mullins, Rob (2018) Teaching Contract Vitiation in Australia: New Challenges in Subject Design. Bond Law Review, 30 2: 185-216. Seddon, N. C. and Bigwood, R. A. Cheshire & Fifoot law of contract. Sydney: LexisNexis, 2017. Seddon, Nicholas , Bigwood, Rick and Ellinghaus, M. P. Cheshire & Fifoot’s Law of Contract. Sydney, Australia: LexisNexis, Butterworths, 2012. Coote, Brian Contract as assumption : essays on a theme. Edited by Bigwood, Rick Oxford: Hart Publishing, 2010. The Law of Remedies: New Directions in the Common Law. Edited by Berryman, Jeff and Bigwood, Rick Toronto: Irwin Law, 2010. The Permanent New Zealand Court of Appeal: Essays on the First 50 Years. Edited by Bigwood, Rick Oxford: Hart Publishing, 2009. Public Interest Litigation: The New Zealand Experience in International Perspective. Edited by Bigwood, Rick Wellington: LexisNexis, 2006. The Statute: Making and Meaning. Edited by Bigwood, Rick Wellington, New Zealand: LexisNexis, 2004. Bigwood, Rick Exploitative Contracts. Oxford, United Kingdom: Oxford University Press, 2003. Legal Method in New Zealand: Essays and Commentaries. Edited by Bigwood, Rick Wellington, New Zealand: Butterworths, 2001. Continuing Representation and Strict Responsibility for Accuracy After Cramaso: Fact or (Legal) Fiction? Bigwood, Rick A. (2018). Continuing Representation and Strict Responsibility for Accuracy After Cramaso: Fact or (Legal) Fiction?. In Toshiyuki Kono, Mary Hiscock and Arie Reich (Ed. ), Transnational Commercial and Consumer Law: Current Trends in International Business Law (pp. 187-221) City of Singapore, Singapore: Springer. Bigwood, Rick (2014). The partial codification of contract: lessons from New Zealand. In Mary Keyes and Therese Wilson (Ed. ), Codifying contract law: consumer law and international law perspectives (pp. 165-203) Farnham, Surrey, United Kingdom: Ashgate. Bigwood, Rick (2012). Review of A. Swan and J. Adamski’s Canadian Contract Law. In Angela Swan and Jakub Adamski (Ed. ), Canadian Contract Law 3rd ed. (pp. 313-322) Ontario, Canada: LexisNexis. Bigwood, Rick (2009). From Morgan to Etridge: tracing the (dis)integration of undue influence in the United Kingdom. In Jason W. Neyers, Richard Bronaugh and Stephen G. A. Pitel (Ed. ), Exploring contract law (pp. 379-430) Oxford: Hart Publishing. Bigwood, Rick (2001). Taking Stock: Legal Method in New Zealand Today (and for the Future?). In Bigwood, R. (Ed. ), Legal Method in New Zealand: Essays and Commentaries (pp. 305-338) Wellington, New Zealand: Butterworths. Bigwood, Rick (2018) The undue influence of "non-Australian" undue influence law on Australian undue influence law: farewell Johnson v Buttress? Part I. Journal of Contract Law, 35 1: 56-89. Bigwood, Rick (2017) ‘Rescuing the Canadian Unconscionability Doctrine? Reflections on the Court’s “Applicable Principles” in Downer v. Pitcher’. Canadian Business Law Journal, 60 1: 124-155. Bigwood, Rick (2013) Still curbing unconscionability: Kakavas in the High Court of Australia. Melbourne University Law Review, 37 463-508. Bigwood, Rick (2012) Fairness Awry? Reflections on the BCLI Report on Proposals for Unfair Contracts Relief. Canadian Business Law Journal, 52 197-225. Bigwood, Rick (2011) Circumscribing election: reflections on the taxonomization and mental componentry of affirmation of a contract by election. University of Queensland Law Journal, 32 235-277. Ill-gotten contracts in New Zealand: parting thoughts on duress, undue influence and unconscionable dealing — Kiwi-style? Bigwood, Rick (2011) Ill-gotten contracts in New Zealand: parting thoughts on duress, undue influence and unconscionable dealing — Kiwi-style?. Victoria University of Wellington Law Review, 42 1: 83-116. Doctrinal reform and post-contractual modifications in New Brunswick: Nav Canada v. Greater Fredericton Airport Authority Inc.
Bigwood, Rick (2010) Doctrinal reform and post-contractual modifications in New Brunswick: Nav Canada v. Greater Fredericton Airport Authority Inc.. Canadian Business Law Journal, 256-277. Bigwood, Rick (2010) Fine-tuning affirmation of contract by election: part 1. New Zealand Law Review, 2010 1: 37-91. Bigwood, Rick (2010) Fine-tuning affirmation of contract by election: part 2. New Zealand Law Review, 617-688. Bigwood, Rick (2009) “Threats” versus “warnings”. New Zealand Law Journal, 385-387. Bigwood, Rick (2008) Throwing the baby out with the bathwater? Four questions on the demise of lawful-act duress in New South Wales. University of Queensland Law Journal, 27 2: 41-84. The full truth about half-truths? Bigwood, Rick (2006) The full truth about half-truths?. New Zealand Law Journal, 114-116. Bigwood, Rick (2005) Contractual duress and the Supreme Court. New Zealand Law Journal, 140-141. Bigwood, Rick (2005) Antipodean reflections on the Canadian unconscionability doctrine. Canadian Bar Review, 84 1 & 2: 171-216. Bigwood, Rick (2005) When Exegesis Becomes Excess: The Newborn Problematics of Contractual Duress Law in New Zealand. Journal of Contract Law, 21 208-225. 'The elements of duress in New Zealand law today': a case for Ockham’s Razor? Bigwood, Rick (2004) 'The elements of duress in New Zealand law today': a case for Ockham’s Razor?. New Zealand Business Law Quarterly, 10 4: 326-335. Bigwood, Rick (2004) Exploitation in contract formation. New Zealand Law Journal, 278-280. Bigwood, Rick (2004) Reflections on partial-truths, supervening falsification, and pre-contractual misrepresentation. New Zealand Business Law Quarterly, 124-159. Bigwood, Rick (2004) Australian competition and consumer commission v CG Berbatis Holdings: curbing unconscionability: Berbatis in the High Court of Australia. Melbourne University Law Review, 28 1: 203-231. Bigwood, Rick (2002) Some reflections on the personalty–realty interface in New Zealand. New Zealand Business Law Quarterly, 290-302. Bigwood, Rick (2001) Economic Duress by (Threatened) Breach of Contract. Law Quarterly Review, 117 376-381. Bigwood, Rick (2000) Conscience and the Liberal Conception of Contract: Observing Basic Distinctions — Part I. Journal of Contract Law, 16 Special Issue: 1-36. Bigwood, Rick (2000) Conscience and the Liberal Conception of Contract: Observing Basic Distinctions — Part II. Journal of Contract Law, 16 191-222. Are “Without Prejudice” Communications Admissible in a Claim for Rectification of a Settlement Agreement? Bigwood, Rick (1999) Are “Without Prejudice” Communications Admissible in a Claim for Rectification of a Settlement Agreement?. New Zealand Business Law Quarterly, 5 199-203. Undue influence: 'impaired consent' or 'wicked exploitation'? Bigwood, Rick (1996) Undue influence: 'impaired consent' or 'wicked exploitation'?. Oxford Journal of Legal Studies, 16 503-515. Bigwood, Rick (1987) The civil liabilities of air traffic control personnel in New Zealand. Auckland University Law Review, 5 4: 429-439.